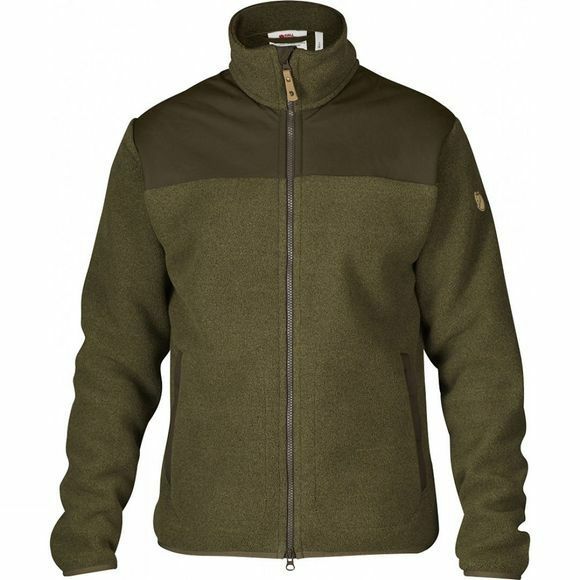 The Men's Forest Fleece Jacket is a comfortable fleece jacket made from a robust fleece fabric of recycled polyester. It is perfect as an insulating middle layer under a shell jacket on cold autumn days in the outdoors, but can also be worn as a light jacket when the temperature rises. Reinforcements in durable G-1000 fabric on the shoulders, along the zip and at the pocket openings provide extra durability where it is most needed. The front zip is two way and can be opened from below for ventilation. A high collar provides warmth around the neck and there is a protective flap in fleece between the zip and chin. Two spacious hand pockets with zips and ventilating mesh lining. Drawcord adjustment at the lower hem and elasticated cuffs. 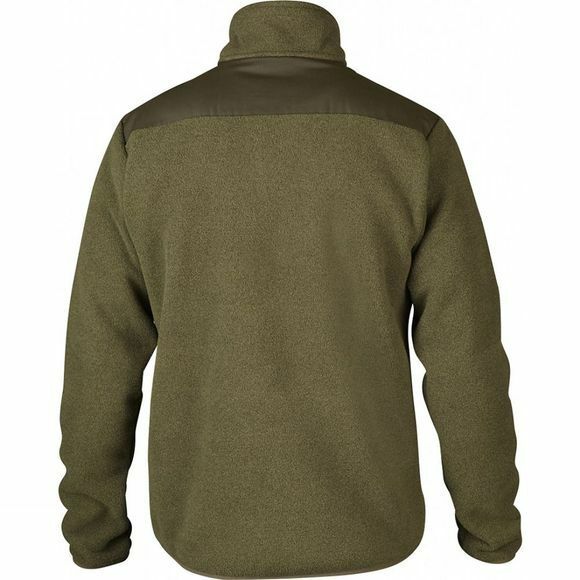 The fleece is manufactured using an environmentally-friendly process that both spins and dyes the fibres at the same time, which for this model involves approximately 50 percent less water and 32 percent less energy being used than with traditionally manufactured fleece.